Welcome to This Girl’s Life! I’m mom to three year-old twin boys, Ben and Landon. Wife to one of the best stay at home dads, Dan. I also work full time, and have an Etsy Shop, love squirrels, where I sell my knitted baby caps and accessories. Most of all, I love to create! 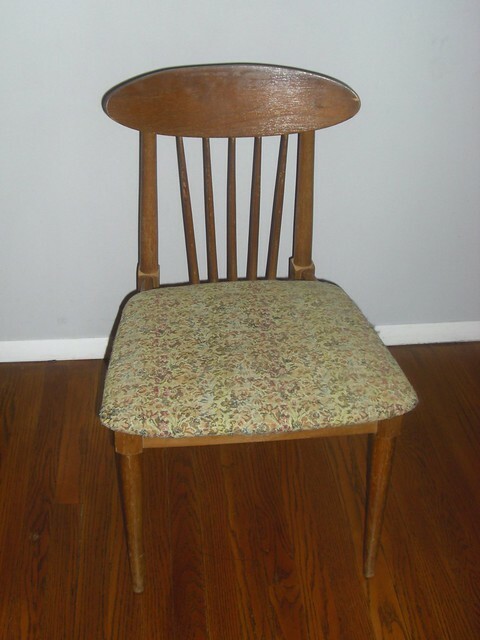 Home decorating, DIY projects, scrapbooking…just about anything I can get my hands on. 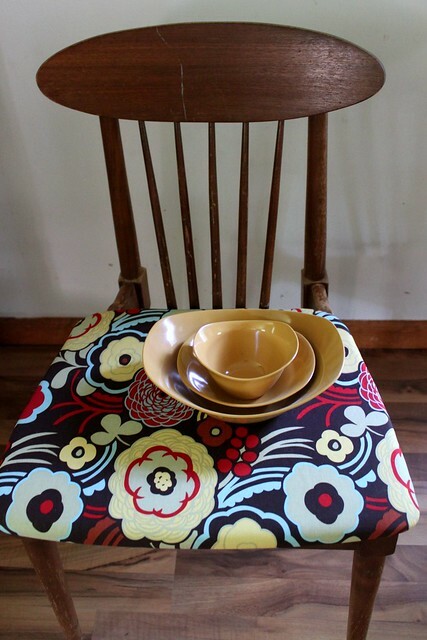 By simply removing the old fabric and padding, and adding new padding and a fun patterned fabric, I have brought new life to these great mid-century modern chairs. Next they will be getting refinished and then we can enjoy them! 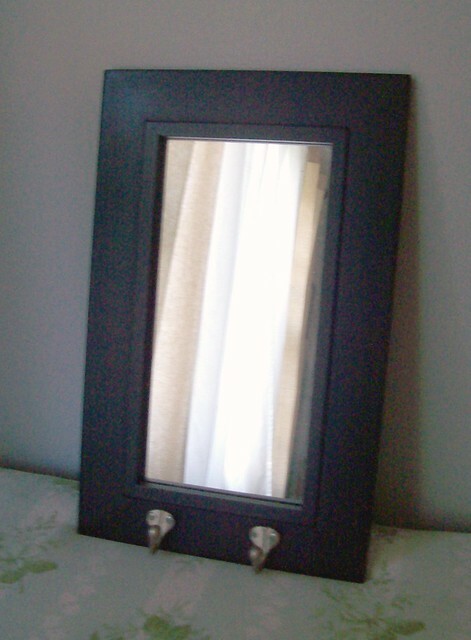 I removed the mirror and spray painted the frame and hooks. 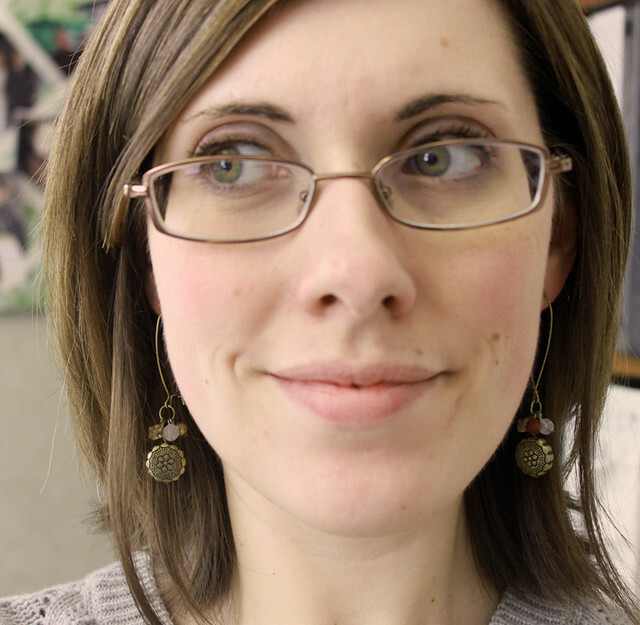 I used thick jewelry wire and stapled it to the back in rows to hold my earrings. 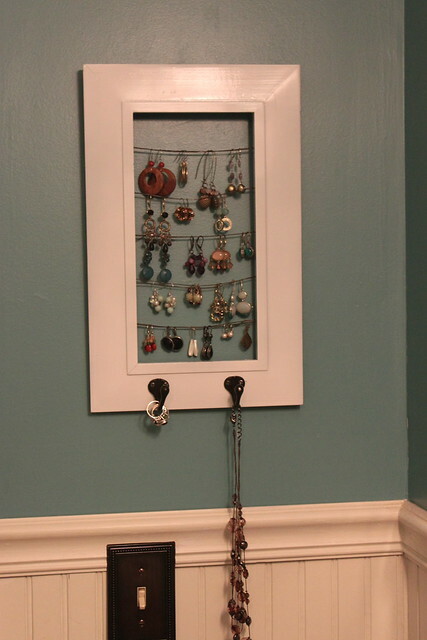 The two hooks also serve as great ring, necklace and bracelet storage. I love how it looks in the room as well! One of my favorite crafty parts of being a Mom is the fun birthday parties I get to plan. This year, I chose one of the boys’ favorite movies, Despicable Me, for the theme. 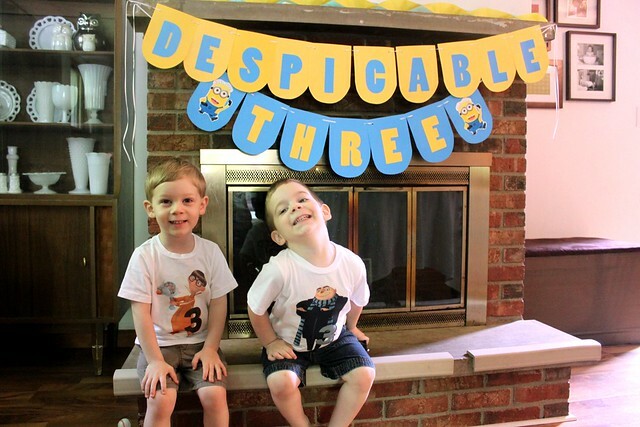 Since they were turning three, Despicable Three seemed like a more fitting title. My favorite part of the party was the minion cupcakes! These were super simple to make and were such a hit with the boys and our guests. I used twinkies, cut in half, and decorated them with smarties and black icing. Once these were placed on top of a blue iced cupcake, they made the perfect minions. So there you have it…three fun projects I’ve been working on lately. And there are always more to come! 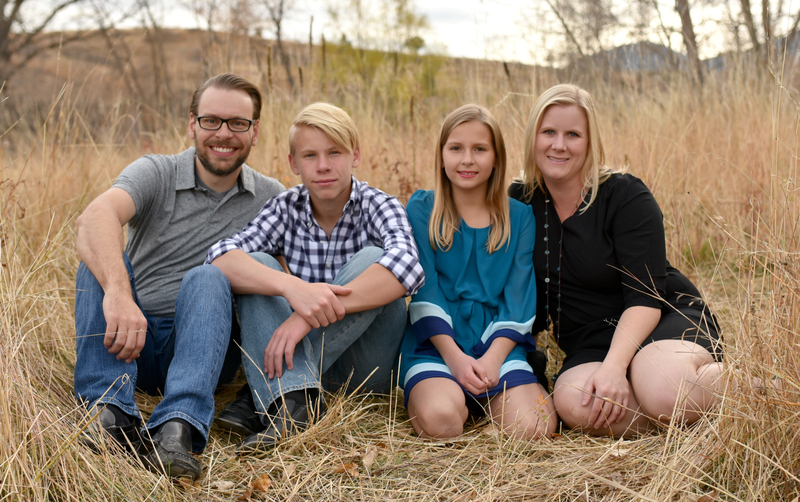 Thanks for taking a peek into This Girl’s Life! 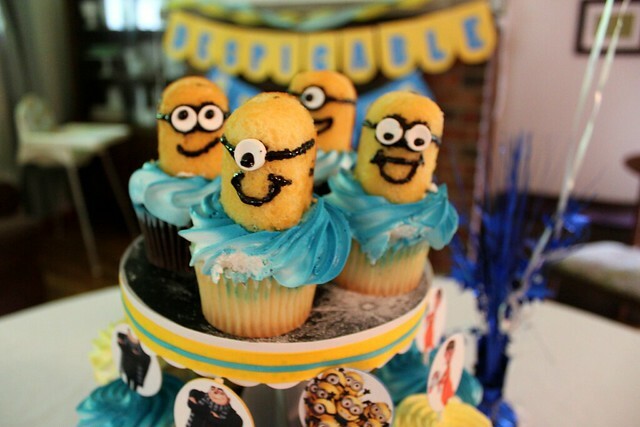 The despicable three birthday party is an awesome idea…love the cupcakes!